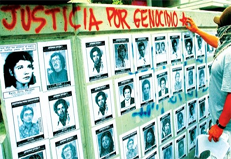 The potential synergies between the human rights agenda and the goal of just and sustainable development are widely recognized. With the 2015 deadline for the Millennium Development Goals just a few short years away, it has become clear that many of the targets agreed by the international community in 2000 will not be achieved, however. 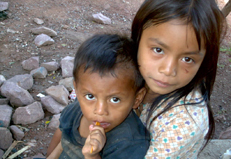 Taking these facts into consideration, the United Nations Development Program has brought together a select group of human rights and development experts, including CESR Researcher Allison Corkery, to provide an exhaustive analysis of how human rights can better inform a future development framework. 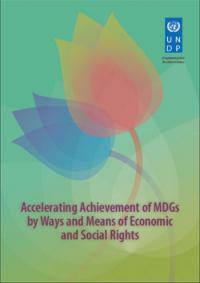 A new UNDP publication - Accelerating Achievement of MDGs by Ways and Means of Economic and Social Rights - comprises 12 analysis articles on issues ranging from affirmative action and social protection to the provision of legal recourse and constitutional recognition of social and economic rights. The case studies included focus on the Asia-Pacific region, but the lessons learned are applicable to all regions of the world. Allison, who has spearheaded CESR’s capacity-building work with the Kenyan National Commission on Human Rights, contributes an essay elucidating the key role National Human Rights Institutions can and must play in promoting rights-based development. Her article explains the important bridging function NHRIs can serve in strengthening the mutually reinforcing aspects of the MDGs and human rights. It also unpacks the various ways in which these institutions can support governments in developing strategies that better serve to achieve just development. While there is much reason to be optimistic about the potential of NHRIs to help foment rights-based development, the analysis also recognises that expectations need to be realistic and identifies the challenges facing NHRIs in addressing economic, social and cultural rights. At a more general level, better incorporation of fundamental human rights principles such as accountability and participation will be critical if a successor development framework is to avoid the pitfalls and limitations that have impeded progress towards the MDGs so far. 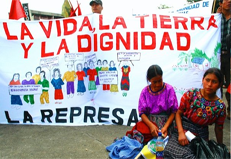 As debate on the post-2015 development plan gathers pace, CESR will continue to work for the meaningful integration of human rights principles into development plans at both the national and international level.